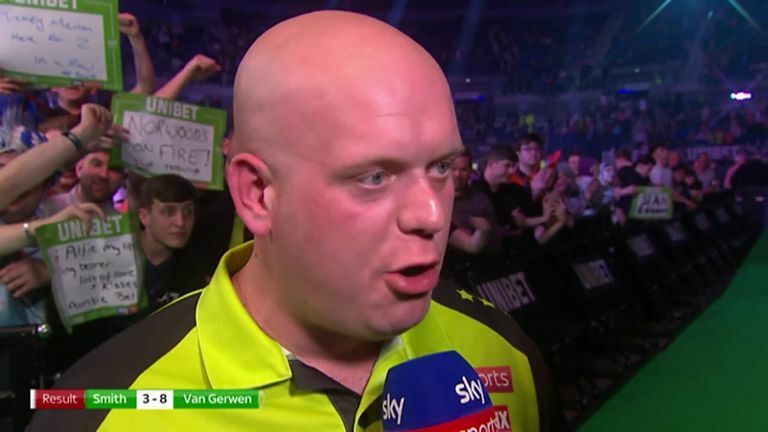 Van Gerwen has topped the pile every year since his 2013 debut season but currently sits in second place behind Rob Cross, who defeated Peter Wright to stay at the top of the standings, ahead of their crunch meeting in Cardiff next Thursday. The world No 1 knows the pressure is on to maintain his proud record. Sky Sports' marked World Parkinson's Day by looking back at the magic of presenter Dave Clark - a true inspiration! Four players were left locked on 12 points after James Wade and Daryl Gurney settled for a point apiece and Gerwyn Price defeated Mensur Suljovic on another dramatic night of action at the M&S Bank Arena on #WorldParkinsonsDay. Van Gerwen made it nine wins from his last 10 meetings against Smith to keep the heat on table-topper Cross. 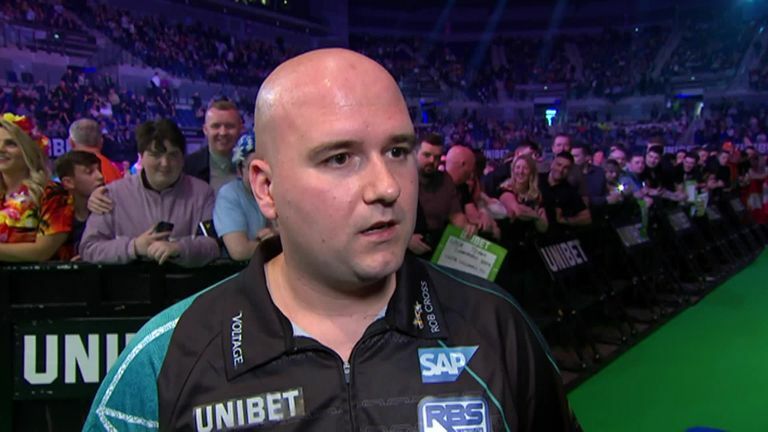 The Dutchman started with an 11-dart leg, and he maintained his ferocious start with a stunning 122 on the bullseye, followed by another 11-darter for a 4-0 lead. 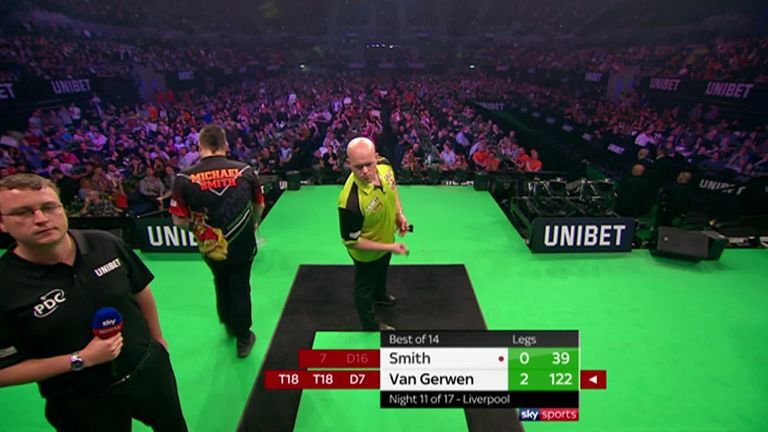 Both players maintained a relentless pace but it was the world No 1 who stretched away to complete a superb win with a handy three-dart average of 109.11 leaving Smith rooted to the foot of the table. Cross was back strutting his stuff after recovering from a bout of tonsillitis, showing more of his scintillating form against 2017 finalist Wright, averaging 102.03 on his way to a fine victory. 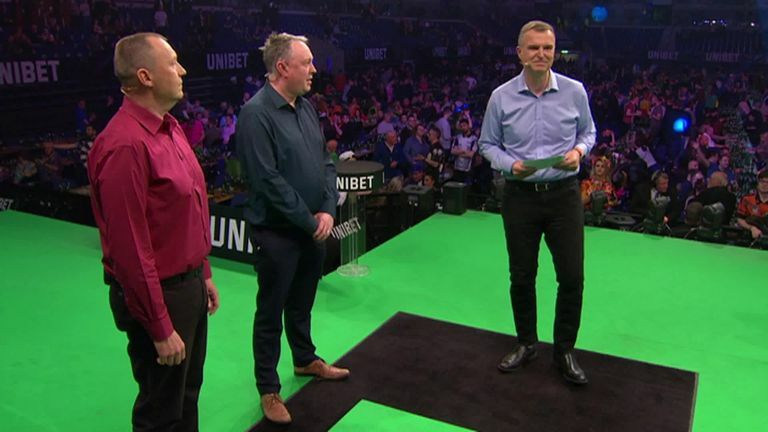 The former World Champion won the opening three legs, including a show-stopping 140, before 'Snakebite' responded with a superb 11-darter. Cross maintained his three-leg advantage and he then struck with a fabulous 105 finish for a break which looked to put the game to bed. But the Scotsman responded by winning the next two to close the gap before D10 enabled Cross to guarantee a point with three legs remaining. 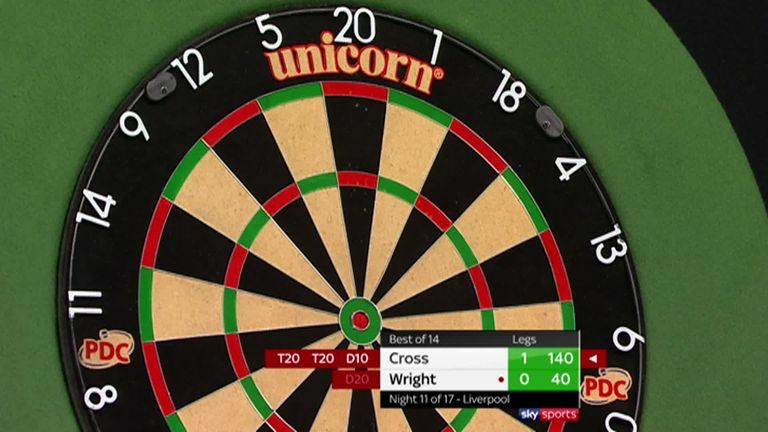 Despite a 104 checkout from Wright, Cross made it seven wins from his last eight outings by taking out 50 with a neat two-dart combination. Gurney was looking to avenge his whitewash at the hands of Wade in Aberdeen, but had to settle for a draw in the end. 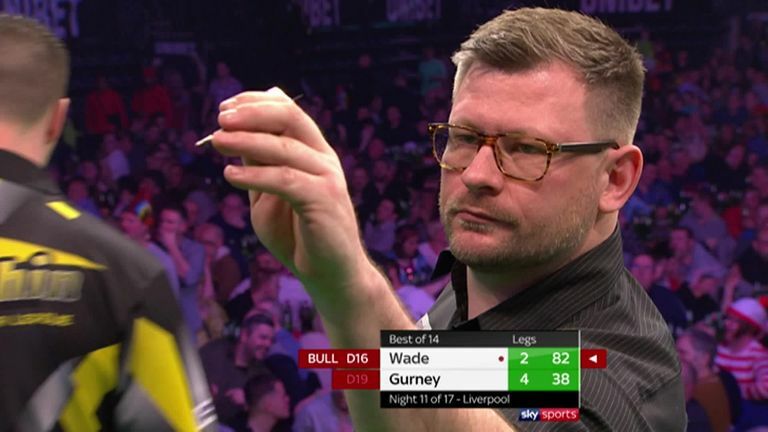 He spurned three darts for a 6-3 advantage and was made to pay the price by Wade, who nailed tops for a 6-5 lead. But the Northern Irishman stayed calm under pressure to rescue a priceless point with a magnificent 10-dart leg. Price repeated his night five win over Austrian ace Suljovic to stay in the Play-Off hunt and leapfrog his opponent on legs difference. Suljovic battled back from a 3-0 deficit by reeling off four on the spin. But Welshman Price kept his composure to race clear again and seal an important victory.